Knowing and using proper business etiquette can get you one step closer to your dream job or your dream client. In the workplace, there is a set of rules that are followed by each employee, but the rules are usually unwritten. If you are able to define and display the correct rules of conduct in the workplace you will stand out from your other colleagues. In business, you should constantly find ways to stand out from everyone else. By enhancing your knowledge of proper business etiquette, you can also increase your level of success. Business etiquette is basically being respectful of yourself, your co-workers, and your boss. It is the practice of using the correct code of conduct while in the workplace. This code of conduct begins the minute you walk into a business environment or the second you meet a potential client. That being said, you must always be on time. If your meeting is set to start at 9:00 a.m. you would be exercising proper business etiquette if you get there by 8:45 a.m. Arriving at business appointments a few minutes early says to the client that you value his time and you are serious about his business. When you arrive at the meeting be sure to address the person you are meeting with the proper title. Be sure to address the person by name, (i.e. Ms. or Mr.). If the client prefers you to address them by his/her first name, he will suggest that you do so. However, you should never take it upon yourself to call him by his first name. In addition, you should always do a little research on the person before your initial meeting. By doing so, you will learn more about the person, his position, and his business. This information can also serve as a few talking points during your meeting. You should always use a firm, confident handshake and make eye contact. 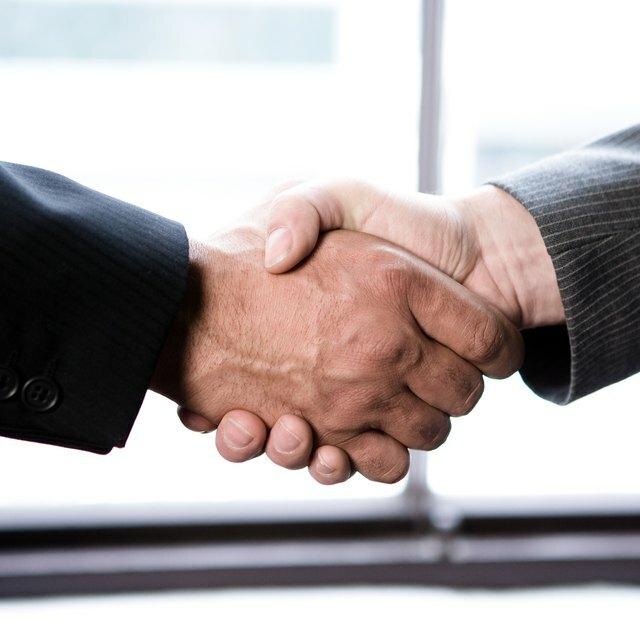 A handshake is the only form of physical contact that you will have with your potential boss or client, so practice until it's firm and perfect. This gives the person the sense that you are in control. In addition, be sure to always maintain eye contact and smile when you are talking in a business environment. What Is the Difference Between Business Etiquette and Social Etiquette? Be confident and allow your confidence to speak for itself. Meaning, your appearance should always be neat. Your tone should be pleasant and keep the word fillers to a minimum (i.e. ums, yeah). You also need to watch your body language. For instance, keep your hands folded in your lap if you are being interviewed or keep both elbows off of the table if you are at a business lunch or dinner. If you are conversing with a client or potential client via email be as professional as you would if you were face-to-face. Do not use email abbreviations or emoticons. You will also be more apt to catch spelling errors if you proofread your message before hitting the send button. Beware of the "reply to all" button. In addition, be sure that your email messages include the proper jargon for the particular business environment to ensure that the email reads correctly.